Yippee! we are nearly there ..!!!! Goodie bags are being packed, plans are being firmed up on and we are really looking forward to the Race on Saturday. The Start waves are now available to view with predicted start time. Please also read and fully understand the Race Brief available here too. See you all on Saturday . If you are doing your first Triathlon Best of luck , and located here are some excellent tips from one of our own members Sinead Lynch. When The date for Trilaois 2019 has been set as Sat April 6th 2019. How long 2 Races - Sprint 750 Swim , 19.5km Bike & 5km run and Tri-a-Tri 400M Swim 19.5km Bike and 5km Run . The swim is a pool based swim in which competitors must complete either 30 lengths (Sprint) or 16 Lengths ( Tri-a-Tri) of the 25 metre pool in the Portlaoise Leisure Centre. 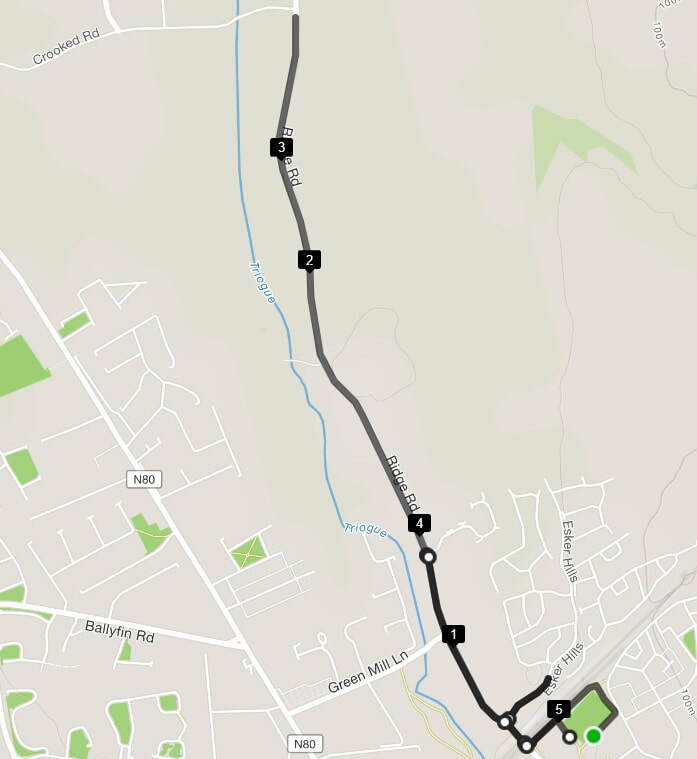 The cycle then takes the competitors out the old Dublin road, over a gradual incline towards Emo, then returning via quiet roads for the cycle leg, to complete the run over a largely flat out and back route local to the town. The event is open to all, but has been particularly designed for anyone racing their first event - either as a team or as individuals. The short-distance, pool-based swim makes an ideal dry run for longer events outdoors later in the new season, and will help anyone preparing for outdoor events later in the Summer. Both the bike course and the run course are on quiet roads and will be well marshalled by an experienced crew of Race Marshals who will guide and direct you through the course with your safety as their primary concern. 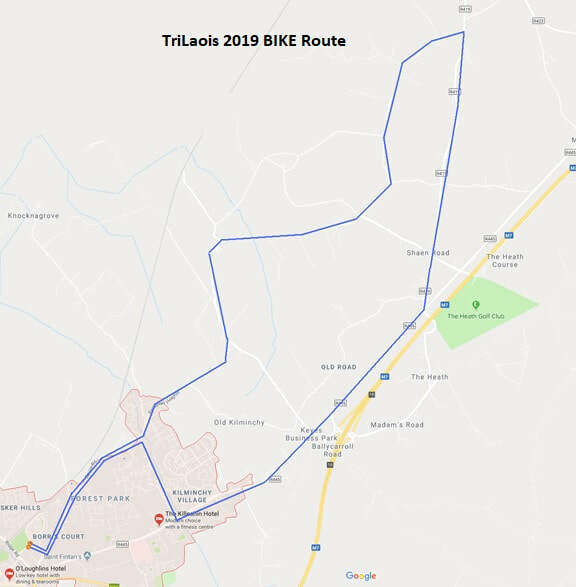 The event is normally the the first Triathlon Ireland competitive event of the season and being situated in Laois the organisers hope the central location makes the event accessible to all. The race is organised by Trilogy Triathlon Club and this is the 10th year. Feedback from previous entrants has always been very positive and the event has grown in popularity to become a well established curtain opener for the Triathlon Season. Venue ​Portlaoise Leisure Centre opened in late 2007 and brought to Portlaoise the very latest in state-of-the-art sporting facilities. 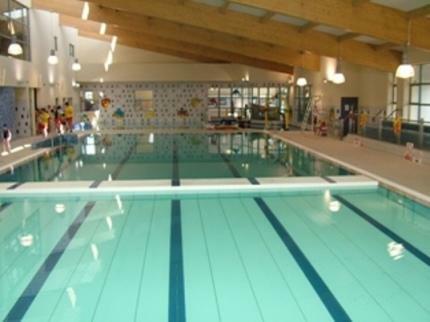 The centre boasts a 25 metre pool, a fully equipped Health Club, 2 UEFA Standard Astro-turf pitches, playing fields, children's play area and coffee shop. The swim will take place in the pool and the transition area will be located in the Astro-Turf pitch behind the pool. Both the Bike and the Run legs will both start and finish at the leisure centre .The finish line will be located within the grounds of the leisure centre .Post-race activities and results / prize giving will be at the leisure centre. Note: Competitor Parking will be available to race participants about 250m from the leisure centre at a public car park.